The Industrial Research Forum was established by CBRE, Colliers, DTZ and JLL with its aim to provide clients with consistent, accurate and transparent data about the Czech Republic industrial real estate market. Cushman & Wakefield joined the Industrial Research Forum as its fifth member at the beginning of 2015. The members of the Industrial Research Forum share non-sensitive information and believe the establishment of the Industrial Research Forum will enhance transparency on the Czech industrial market. The Industrial Research Forum is pleased to announce the preliminary Industrial Market figures for Q2 2015. In Q2 2015, industrial space totalling 92,000 sq m was completed within eight industrial parks across the Czech Republic. The largest completions include a warehouse for Červa Export Import at Prologis Park Prague Airport (32,100 sq m), followed by premises for Mall.cz in Prologis Park Prague-Jirny (28,900 sq m). The total stock of modern industrial and storage space in the country increased to 5.24 million sq m.
There were 505,600 sq m of storage and industrial space under construction, of that 81% were pre-leased at the end of June. 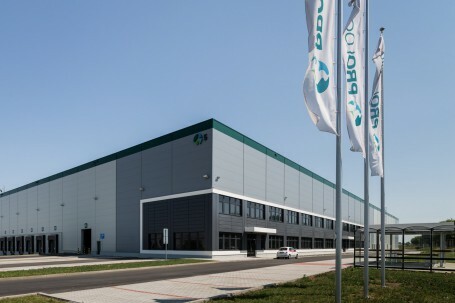 During Q2 2015 construction was launched on several larger buildings, in particular a warehouse for Globus at Prologis Park Prague-Jirny (29,200 sq m), production plant for Faiveley Transport at VGP Park Pilsen (21,700 sq m) and hall C at Contera’s Business Park Ostrava (18,700 sq m), which will be upon completion mostly occupied by Adler Czech. The distribution centre for Amazon in Panattoni Park Prague Airport (133,000 sq m) remains to be the largest industrial facility in the construction pipeline, followed by the European DC for Primark being built in CTPark Bor (61,900 sq m). Both projects are scheduled for completion in Q3 2015. Prime headline rents achieved in the Czech Republic remained stable during Q2 2015 and currently stand at 4.25 EUR/sq m/month. The rents for mezzanine office space stand between 8.00-9.00 EUR/sq m/month. Service charges typically reach around 0.50-0.65 EUR/sq m/month. Modern developer-led warehouse and industrial production space of A class quality, owned by a developer or investor for lease to third parties. It does not include owner-occupied stock. New supply includes the above mentioned space completed during the given period, including office areas. Represents the top open market rent that could be expected for a notional distribution warehousing unit of the highest quality and specification in the prime location within a market, as at the survey date (normally at the end of each quarterly period). The rent quoted is based on a prime unit of 5,000 sq m gross internal leased for a period of five years, with ceiling heights of over 8 metres, used primarily for distribution/warehousing uses. Ratio of physically vacant space in completed buildings on the total stock of warehouse and industrial space with office areas. This publication is the sole property of Industrial Research Forum and must not be copied, reproduced or transmitted in any form or by any means, either in whole or in part, without mentioning Industrial Research Forum as the source of information. The information contained in this publication is indicative one and has been obtained from sources generally regarded to be reliable. However, no representation is made, or warranty given, in respect of the accuracy of this information. We would like to be informed of any inaccuracies so that we may correct them. Industrial Research Forum do not accept any liability in negligence or otherwise for any loss or damage suffered by any party resulting from reliance on this publication.